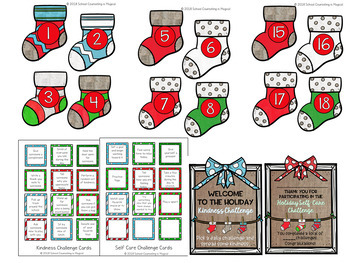 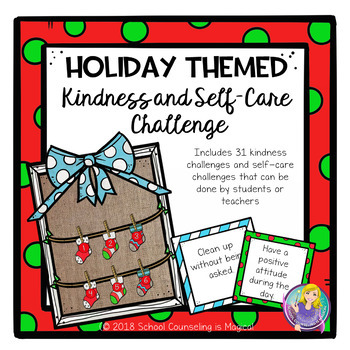 Encourage students (and teachers) to spread kindness and/or practice self-care with this fun holiday themed school-wide challenge. 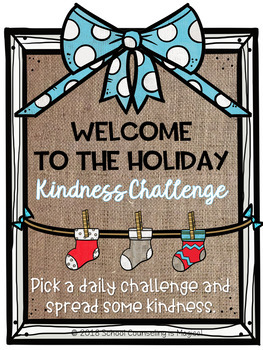 Students will grab a daily challenge and try their best to accomplish it within the next day or two. 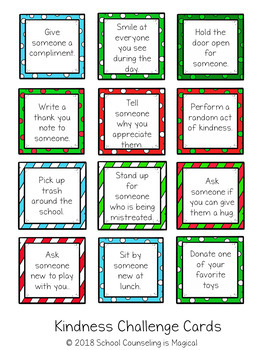 Prizes can be given to the students or class who completes the most challenges.